Over the past couple of months, many have speculated that Apple was attempting to develop a self-driving car because Apple caravans have been spotted in numerous cities in the US. It became clear later on, though, that those vans were used mainly for mapping purposes. This sounds really exciting, especially for Apple Maps users because it signifies the company’s commitment to providing them with the best mapping tools. With this development, the GPS features of Auto Forward monitoring app could be used in a much higher level. Since it launched the Maps app in 2012, Apple has been relentless in improving the app. They are obviously doing their best to fulfill their promise that Apple would work tirelessly until Maps met its extremely high standards. In fact, the next thing in the evolution of the Maps app is the collection of in-house data so that Apple will eventually not need to rely on third-party companies. For several years now, Apple has been gathering data from a third-party company TomTom. With the effort that Apple has been giving to develop its Maps app, it will not come as any surprise if, in the future, we will be able to enjoy 3D street level map viewing. Apple Maps now has the Flyover feature that allows Maps users to discover and explore major cities and landmarks around the world in an aerial view. The goal of Apple is to someday add a street-level view to Flyover. This will be very useful for users who want to check out the nearby locations of certain reference points. 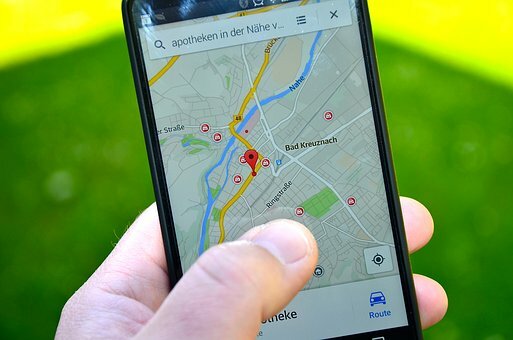 With the continuous development of computer and mobile technology, users should be very excited about the future of mapping and navigating technologies. In fact, even ordinary individuals these days can take advantage of the capabilities of the GPS technology, for instance, by using mobile phone tracking software. If you take time to go over a couple of Auto Forward, you will see that one of the most-loved features of this cell phone spy software is the GPS locator. Through this feature, the user is able to track the location of the target phone. Parents can take full advantage of this feature, especially in terms of tracking their teens’ activities and whereabouts. All they need to do is install Auto Forward on their teen’s phone, and log in to their control panel where they can access all the gathered information from the target phone. How Can You Track A Cellphone Without Access To The Phone?